4Estrellas has just returned from a trip to the Florida Keys February 2018. All systems ready to go, new engine start battery, new Raymarine autopilot 2018. The Jeanneau 49DS is a modern hull shape created by Phillipe Briand. The four cabin/four head version includes four double berths anda salon table that converts to a double berth. The cockpit has a cockpit table, tan bimini, and dodger.Twin steering wheels provide the perfect vantage point for helm control and give easy access to the sugar-scooped stern. Designed to stand up to all that the sea can deliver, this impressive sailboat represents the harmonious balance between performance, comfort, and elegance. She features fine entry lines, a responsive and quick hull, and an unencumbered deck layout. 4 Estrellas features a Kevlar reinforced hull for superior integrity offshore. 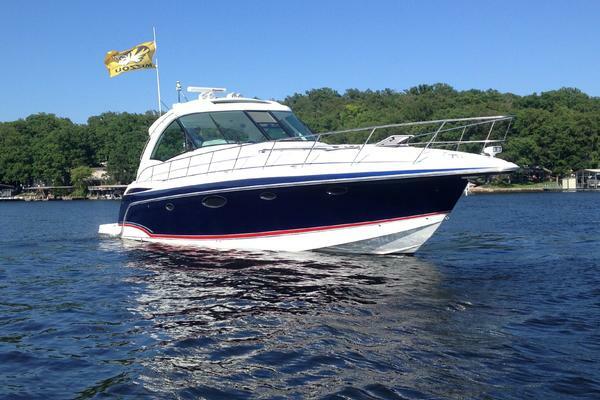 United Yacht Sales New Jersey would love to guide you through a personal showing of this 49' Jeanneau 49 Ds 2006. This yacht for sale is located in Ft Lauderdale, Florida and priced at $199,000. For a showing please contact us by filling out the form on this page and we will get back to you shortly! The cat-eye window on the rounded deckhouse grabs your attention—it’s distinctly Mediterranean. Whether you know of him or not, it’s hardly a surprise to learn that the designer’s name is Vittorio Garroni, a name as European as the look. Combined with Garroni’s stylistic input is a hull and deck plan from Phillipe Briand, architect of French America’s Cup entries and Mari-Cha IV, and an interior designed by Jeanneau’s in-house team.Below deck, it is the volume that really stands out. Most visitors comment immediately on how light and open the saloon is. Upon descending the companionway ladder the forward facing navigation table is immediately to port. A nice curved seat keeps the navigator in place at sea. There is plenty of surface area on the table for a folded paper chart. The breaker panel is outboard of the table, and, as a reminder of where the boat is built, the labels are in both French and English.The saloon is a step down and it is spacious and bright as the name Deck Saloon suggests. There is plenty of headroom and the various hatches, ports and windows let in lots of light. The saloon is wider than it is long and it is designed for relaxing and entertaining To starboard is a U-shaped settee, double bench, and table. To port is a smaller settee. The maximum beam of 14 feet, 8 inches is carried well aft, so the long cockpit is also quite wide, and feels roomy. It’s easy to imagine a division at the twin helms with plenty of space aft for kids to use the swim platform and deck shower, while adults relax at the cockpit table enjoying their lunch. The table base is made of molded fiberglass and fixed to the cockpit sole. The swim platform is accessed through wide gates at centerline, made possible by the split backstay. Sail lockers under the cockpit benches are relatively short on the fore-aft axis but extend well outboard to make the overall volume acceptable. In any event, the vast majority of sail adjustments on this boat will be made through the furling systems rather than by changing canvas. The deep twin lazarettes house two cooking gas canisters and allow plenty of space for fenders and cleaning supplies. The twin helms with 35.4-inch-diameter wheels are set well outboard with duplicate compasses and instrument readouts. Engine controls are at the starboard wheel. The primary genoa winches are within easy reach of the helms. The mainsheet and furling lines all run to cabintop winches mounted on either side of the companionway hatch. Forward of the winches and their respective line clutches is a molded mount for the optional dodger, the design and placement of which is meant more to shield the companionway than the helmsman or those sitting in the cockpit. The anchor windlass and a huge chain locker allow for the use of some beefy ground tackle.